Located in the fertile soil of the Indiana rolling hills, Ertel Cellars Winery has maintained it's own vineyard since 1999. 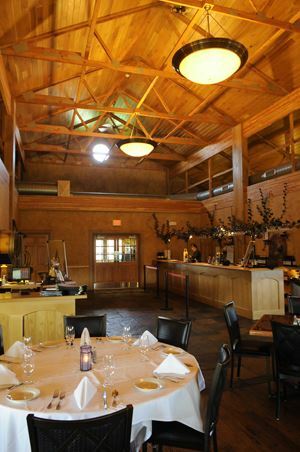 After several years of selling the grapes to local wineries the Ertel family decided to open their own state of the art winery & restaurant in 2006. Nestled in the lush Indiana countryside Ertel Cellars Winery folds local charm into a world class, state of the art wine-making operation. Coupled with the experienced hand of Winemaker Brian Ahaus, Ertel Cellar wines are superb award-winning varietals that complement good food, conversation and friends. Offerings include a tasting bar, lounge, restaurant and wine market, set amidst Chateau-styled architecture, sprawling vineyards and breathtaking views. The vineyards produces 7 varieties of grapes --- Marechal Foch, Vidal Blanc, Vignoles, Traminette, Steuben, Catawba & Chambourcin.